Double-sided silk-like fabric cushion, very soft and comfortable. 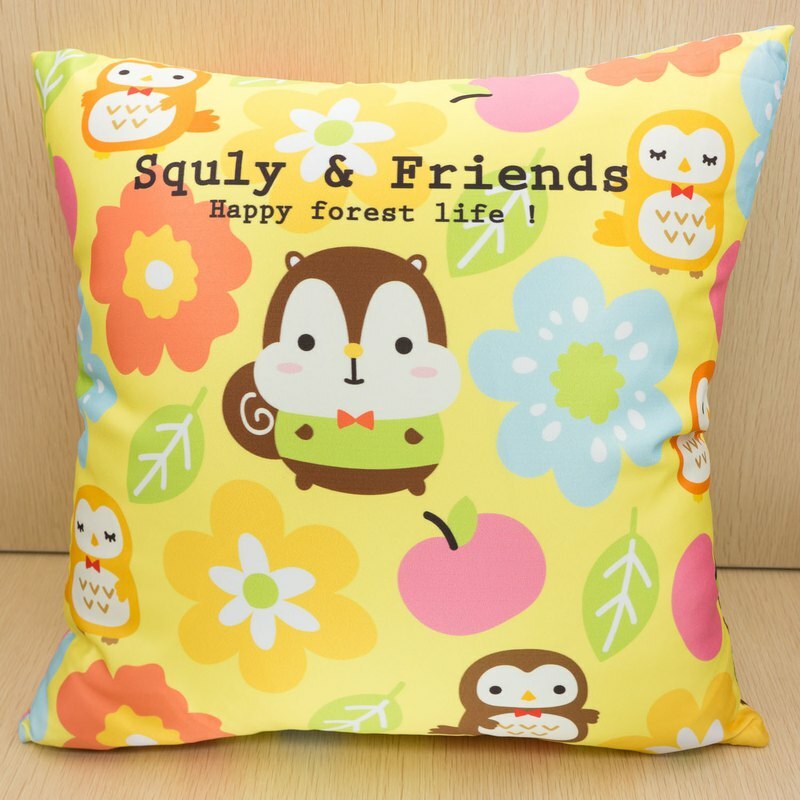 ✓ silk-like fabric cushion, very soft and comfortable ✓ with pillow core ✓ double-sided print ✓ exchangeable pillow core, easy for wash Size: 40X40cm Squly & Friends is Champion of 2014 Comic World Hong Kong 38 Original Character Design Competition. Remarks: Free Shipping: Will ship out with Surface Mail, No Tracking Number, Buyer Bear the Risk of Lost. Optional: We can ship with Air-Mail or Express, please mark it when place order or contact us for more detail. Designed in Hong Kong, made in PRC.